Waking up to go to school is never a fun activity, but what if the school you attended to was built on a cemetery. Depending on the student you would hope and pray that you would never encounter a ghost, or you would wander the long dark halls until you saw a ghostly figure. Cathedral College located in Los Angeles was built on top of Old Calvary Cemetery. In 1920 the cemetery was in complete despair and the local bishop donated the land to the Christian brothers; instructing them to build high on the land soon after the cemetery was transferred to New Calvary Cemetery, East Los Angeles. 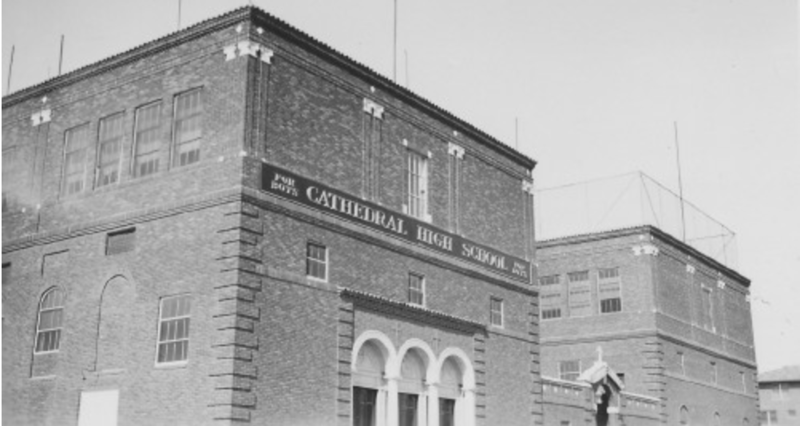 Cathedral High School was then fully constructed in 1925 serving the community an ironic mascot of The Phantoms. Over the years various students have had paranormal encounters primarily maintenance staff, hearing voices in the halls and humming after school hours. During renovations in 2006, construction workers uncovered tombstones, bones and even religious artifacts beneath the crippling soil. Some strongly believe the campus is haunted while other do not; it is often not discussed by teachers or staff. There is no actual footage of phantasms roaming or any strong footage displaying real haunting. There is no doubt Cathedral High school was built on a cemetery, but whether or not this high school is haunted will remain unknown.